It started out with crochet. Just wanting to make a blanket, and this turned into a love affair with yarn and fiber that has consumed me. Once I was crocheting, it was non-stop. The crocheting I learned online with YouTube videos. Those videos, lead me to spinning…. Woah what’s that? So I started spinning. 3 wheels and more spindles than I can count, and fiber… Braids, locks, fleece, oh my! Between ravelry.com and audio and video podcasts, knitting socks became an obsession. In spite of how wicked hard the knitting was for me, I did figure it out, and now, always have a pair of hand dyed striped socks on the needles, along with several other projects. This year for my birthday, my husband bought me a loom…. Yes, weaving is next. I’ve never woven, but I hear it goes through yarn quick, and the stash I’ve amassed has grown quite large in the couple years since my first picking up a crochet hook. My sons room is slowly becoming my “fiber studio” since he flew the nest becoming an adult. I haven’t completely taken over, as I secretly hope he will, maybe need to come back, for longer than a visit. We can fit him somewhere in his old room, in a nice corner of fluff, if I’d love to sleep there in it, surely, he will appreciate it. So… Crochet, knitting, spinning, weaving, fiber, fiber braids, locks, fleece, oh I tried felting this passed weekend, and first try it worked!! What a blast! Add that to the list. What’s next, I know I’m not done, and I have to start chronicling these experiences, hence the name of this site. If it’s fiber, I want to talk about it. I want to share what I tried, what I haven’t tried but want to, what I have learned, experiments that very well lead to failure, or successes that fall nothing short of a masterpiece, share any amazing resources, whether that’s knowledge, fiber, fiber tools, books, blogs, resources etc… My opinion, my review, of everything fiber arts. oh and by the way…. 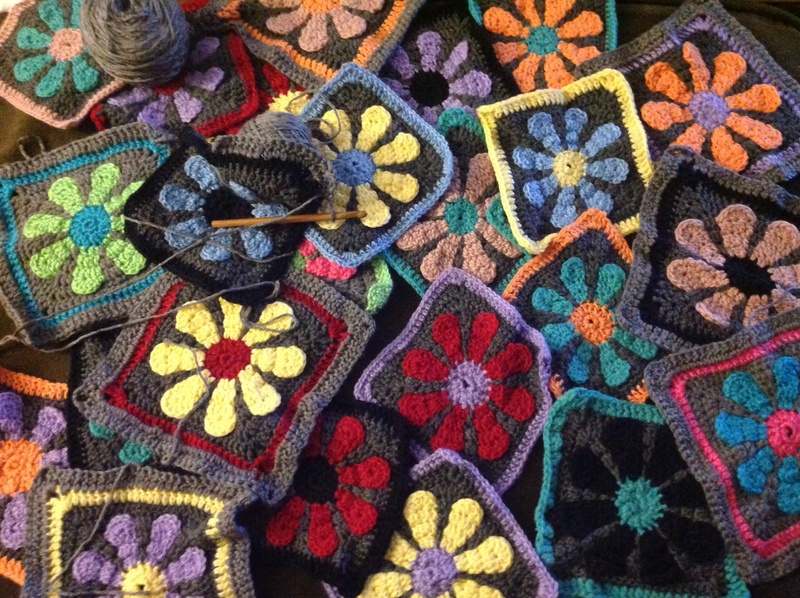 The blanket (pictured above) that started this all, still isn’t finished. Someday… I’m going to finish it. Omg I am soooooo honored, thank you so much! I can’t believe this is so exciting!